Window maintenance is a challenge for many commercial property managers. A property may have dozens or even hundreds of individual windows; inspecting each one on a regular basis can be time-consuming. Yet, proper maintenance is critical. Minor problems, like a window leak, for example, can quickly develop into major issues. If not caught early, a window leak can cause costly damage, and may even require the entire window and surrounding envelope components to be replaced. For commercial properties, these replacement and repair costs can quickly add up. 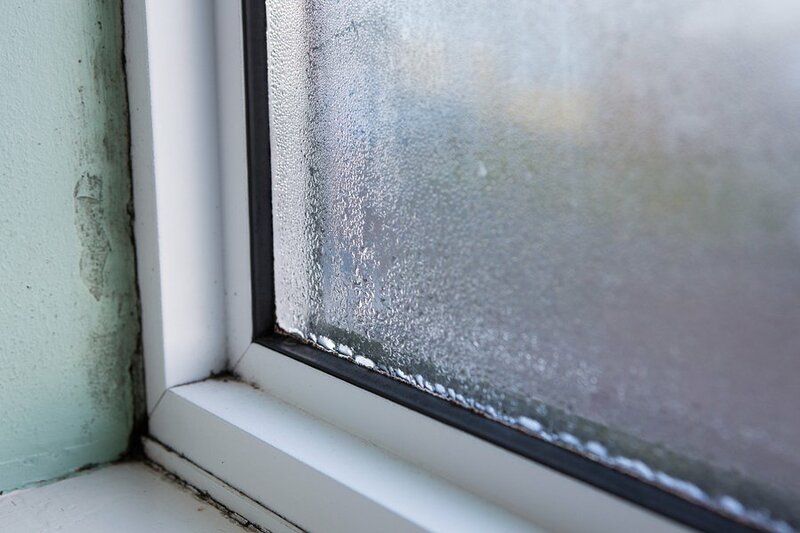 Leaks diminish the window’s insulating value, which is one of the most common reasons for uneven heating and cooling. During winter months, for example, a window leak would draw warm air from the interior, which would contribute to a higher peak heating loads to increase. In other words, leaky windows can directly affect your property’s efficiency. New windows that are properly installed can last 20 years or more. Yet, without proper maintenance, systems fail much faster, particularly if water is leaking into the window’s frame. Water leaks, which are caused by improper or damaged window seals, speed up the deterioration of the windows components and cause corrosion. Prolonged water damage causes a window to fail much faster. Water damage causes a host of issues, beyond damage to the window’s framing and components. Mold is another direct result of prolonged window leaks. Essentially, water seeps into the building envelope, and over time causes the building’s materials to decay and mold. Repairing mold damage can be very costly, in some cases, requiring areas of the building envelope to be rebuilt. Bad leaks cause noticeable drafts of cool or hot air. If your building has problems with drafty windows, chances are you will experience an uptick in comfort complaints from occupants. Repairing window seals can help to diminish this effect. Your windows can fog for a number of reasons. But if they’re older windows, chances are the seals have failed. When a seal has been compromised, moist air seeps in between panes. As a result, this moisture collects on the window creating visible fog. What’s the Solution for Leaky Windows? Window leaks are most commonly caused by failing or damaged seals, weather stripping or caulking. The good news: Resealing windows is a cost-effective solution that will prevent long-term damage. In fact, repairing a window’s seal will restore its performance and efficiency. If no components have been damaged, the window will perform like it did the day it was installed.